We specialize in mobile game development, creating superior contents by utilizing our own IP, ensuring development technology through our own game engine development, forecasting the future via continuous self-innovation, and cooperating with global partners in various fields to have a broader perspective about the gaming industry. Medal Heroes is one-handed real-time retro RPG game. Easy controls witch enable you to enjoy party action RPG by yourself and experience thrilling real-time combats through the knockback system. 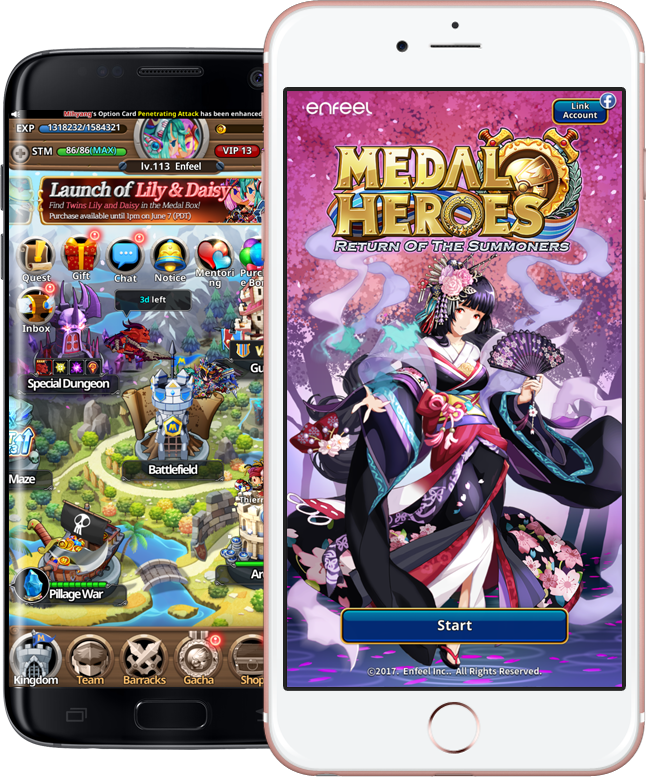 Medal Heroes has a lot of game features like Blitz control and a training system which eliminates unnecessary repetitive battles and a wide variety of contents. Summon and awaken the heroes that lay dormant in the medals to defeat the demon army and become the true medallion summoner! The Medallion Kingdom that has fallen into chaos is seeking summoners like you. 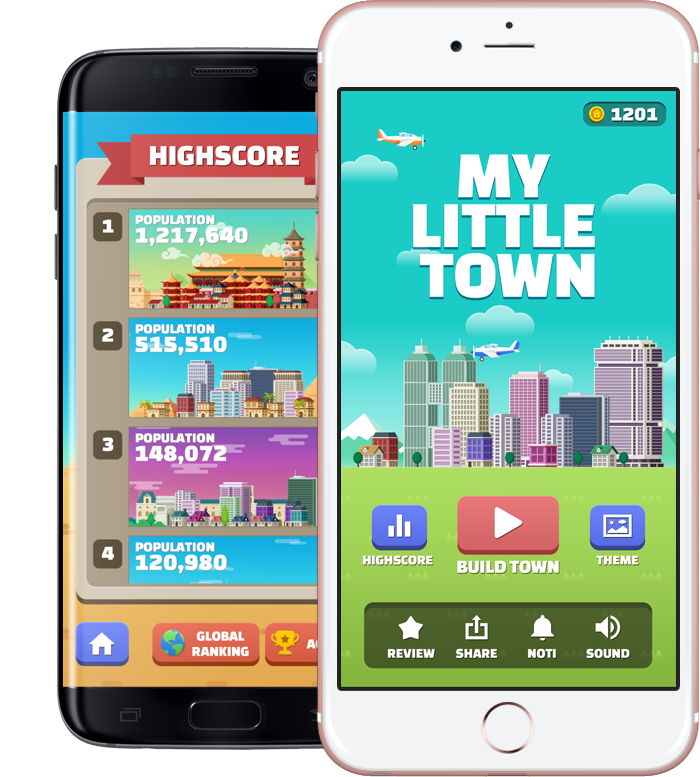 My Little Town is a simple & casual number puzzle game. You can learn all rules in one minute. But don't look down on this game. You need to develop a city by moving number blocks using your fingers and the higher number of the block will be more difficult. Do you think you're smart? Try this challenge now !! 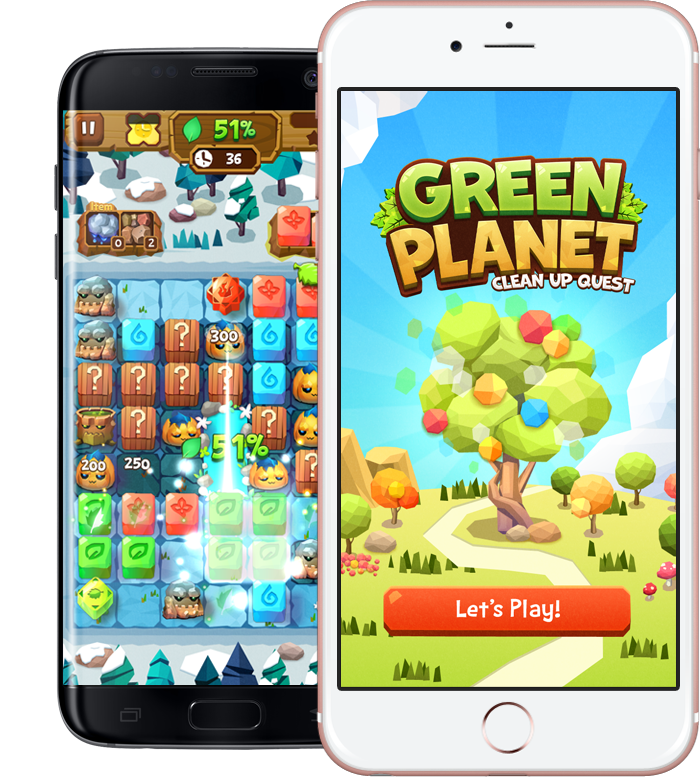 Play across an entire planet of puzzles in this amazing mobile game! Turn the tiles back to green as you spread the lively vegetation through the spotted planet. Return the world to its former beauty by breaking through the slimy, evil cubes. Link together colorful cubes and clear a path to your next location. Turn the planet into a tranquil meadow as you craft new squares, use unique power-up items, and blast away the explosion of contamination! Birzzle Fever is a newly designed game of Birzzle series, which have the traditional method of drag and drop. This new game is easily playable just by tapping and also super enjoyable for everyone of all ages. It has been published in China via iDreamSky, a partner of Enfeel. Excluding aforementioned countries, the game is available via Halfbrick publishing, the creators of Fruit Ninja and Jetpack Joyride. Originally, Birzzle was first introduced to the App Store in April of 2011. Since then, it has been developed to multiple versions. As a new mark to the global mobile game market, Line Birzzle set new records of 2 million downloads on the first day of the launch and 12 million overall downloads. In this fast-changing market, the original Birzzle is keeping its drag and drop play method, which helped maintaining its global popularity. We greatly appreciate our partners as they provide us with various experience and different perspective. We hope to continue doing business with them, and we also wish to expand business with new partners. If you have suggestions or want a business partnership or technical support, please mail to us.